Meanwhile, the 'Put it to the People' march saw an estimated million protesters in the capital. 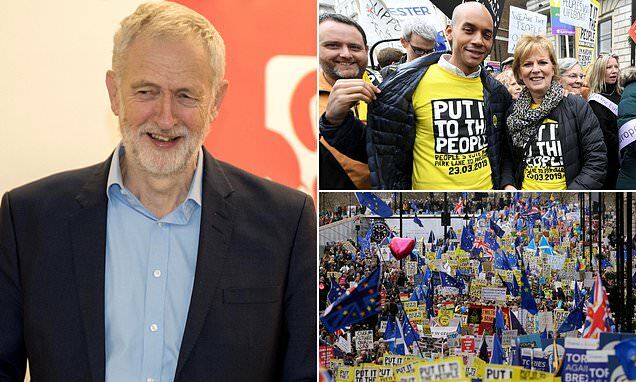 Many protesters waved banners and placards that criticised Corbyn's Brexit policy. One group had a picture of the Labour leader with the caption 'he's not the messiah, he's a very naughty boy', in reference to Monty Python's Life of Brian.